I love to bake, and I especially love baking when I have a long weekend to enjoy the final product. So, knowing last weekend was gonna be a long one, I asked PoppaNut to pick a flavor of his choice. He picked “Reese’s Pieces,” and I went on a hunt for a new recipe. 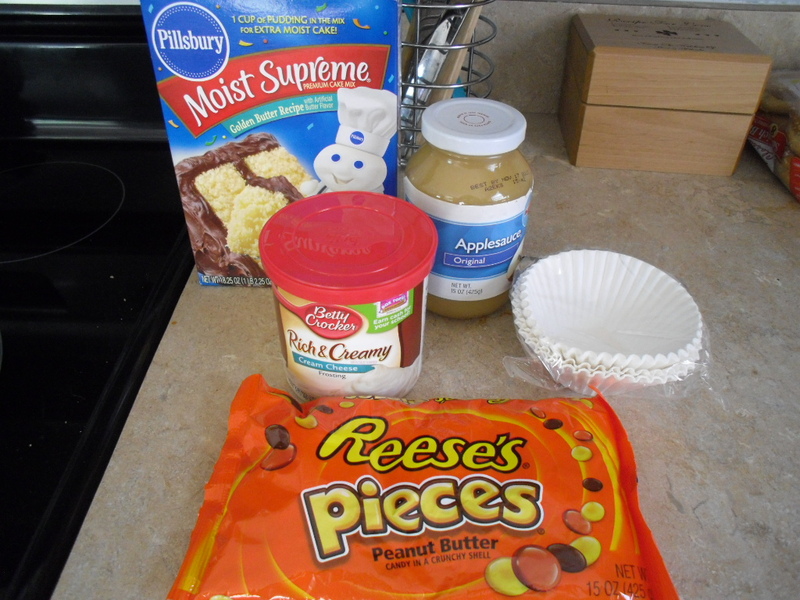 I found this delicious recipe that combines Reese’s Pieces with cream-cheese frosting. Need I say more? My search was complete and I ran to the grocery to pick up everything I needed. Mix up the cake mix according to the directions, substituting oil for your cup of applesauce of course. 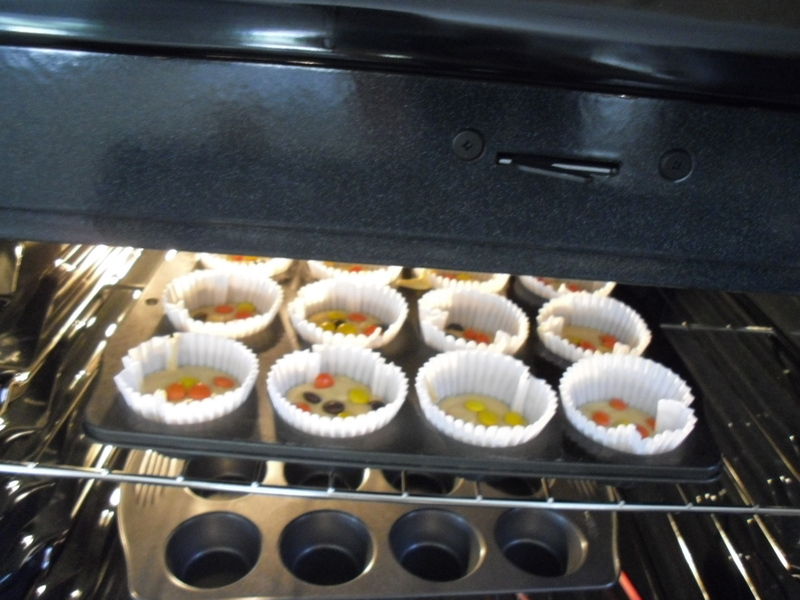 Place the cake mix into your lined muffin tins. Place about five Reese’s Pieces right on the top and pop into the oven. Once the cupcakes are cooled completely, put the frosting into a plastic bag. Snip the corner and easily frost each cupcake. 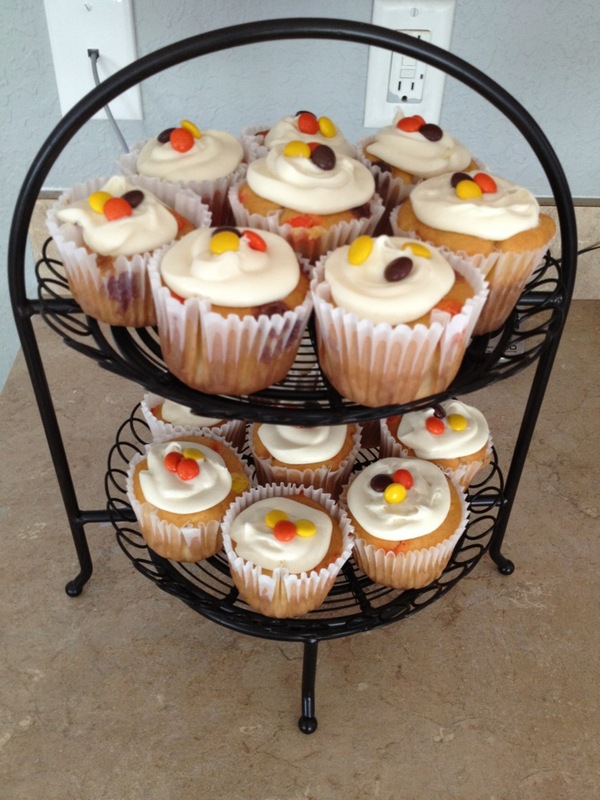 I decorated the tops with a few more Reese’s Pieces (I’m clearly not on a diet this weekend!). Then, enjoy! 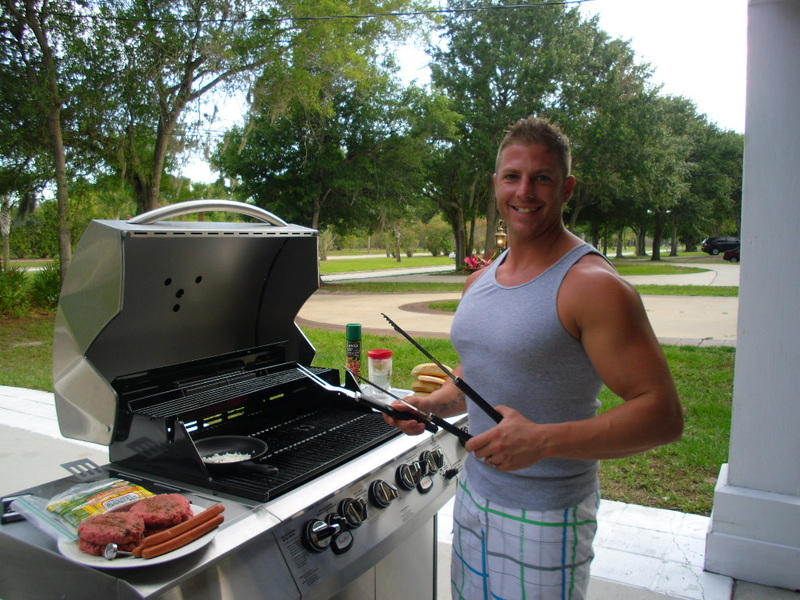 With the cupcakes complete, PoppaNut got started on the main course of hamburgers and hot dogs on our new grill! Yummy! 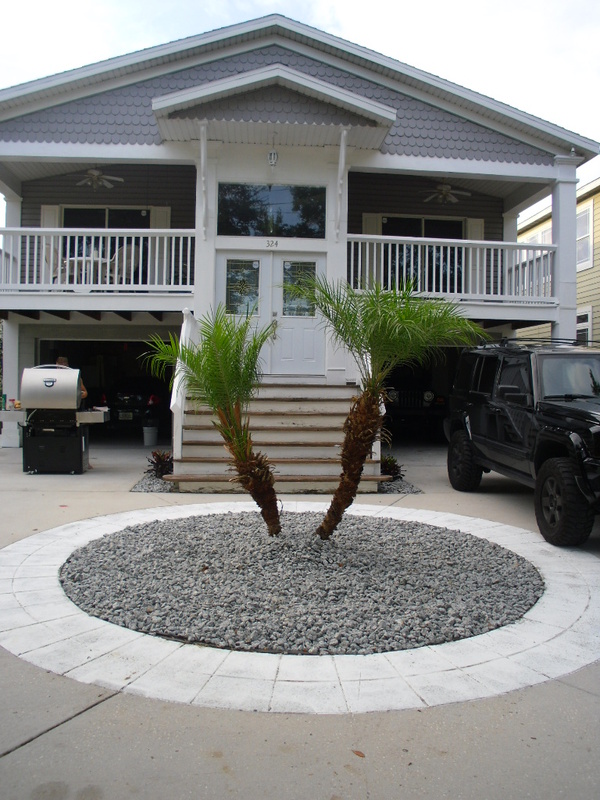 Plus, this gave us a chance to enjoy the new rock that PoppaNut put in at the front and sides of the house. Looking good! And that’s life in a nutshell. Let your loved one pick a favorite flavor, and then explore a few new recipes that you can create at home!